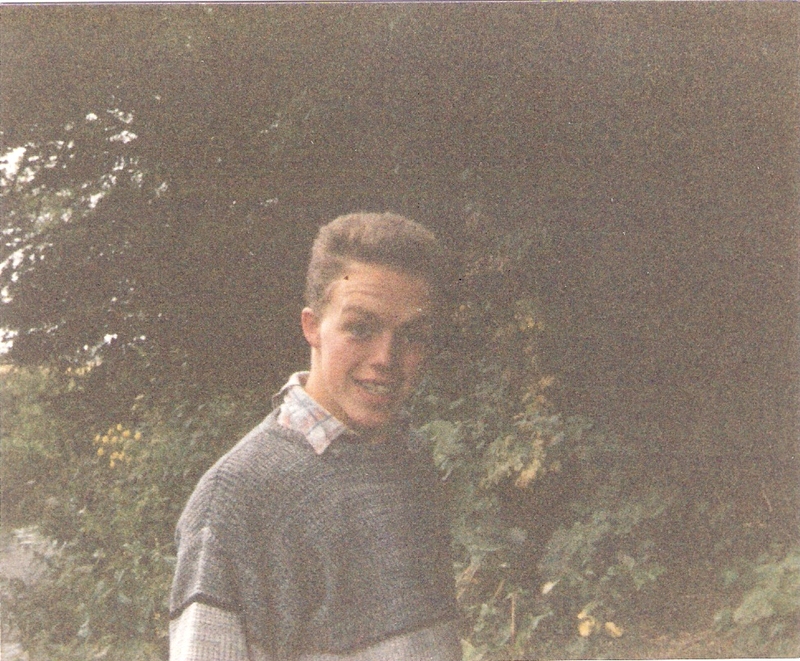 Firstly, I have to say a massive thanks for all the great feedback and comments I’ve received regarding this series looking back at the years before the blog existed, it seems people are enjoying my little trips down memory lane!I’ve called this instalment ‘The Wilderness Years’ for a variety of reasons, the main one being that, although I still loved my fishing, other distractions had started to appear for a 17 year old me and as a consequence the detailed fishing records I had previously kept so carefully, rather fell by the wayside. My diary entries were sporadic at best but there’s still some good stuff that will hopefully be of interest! 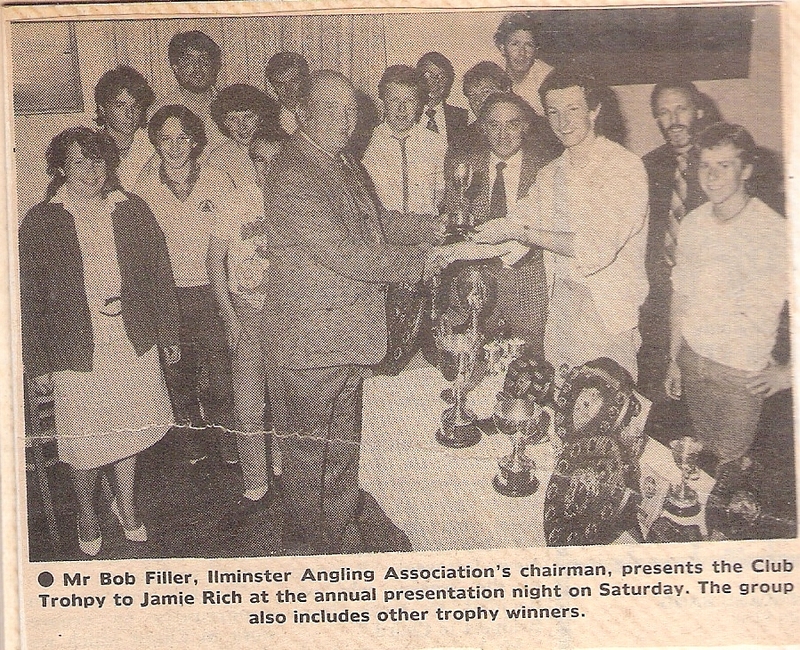 I was still working in the fishing shop and also still on the committee as the junior match secretary. My angling apprenticeship continued as Barney and Adrian took me to places like the rivers Brue and Huntspill and I also fished the Parrett at Wick and had some nice double figure catches of roach and skimmers. Although I wasn’t fishing the canal as often, there were still occasional night fishing sessions. 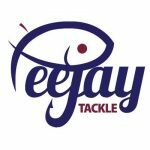 After a very successful first year fishing the senior matches, this season was an altogether different proposition with no results of note until October when we fished the committee cup at Max’s pond in Crockerton. I drew a peg on the favoured near bank and fished an insert peacock waggler with the bulk of the shot around the float with just a few ‘dust’ shot (it’s funny you don’t hear them called that anymore!) down the line. 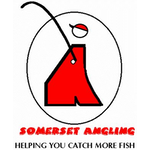 I had 7lb 9oz of small skimmers fishing on the drop and it’s a method I also used a lot at Dillington in the early days. Basically you’d feed some maggots or casters and then cast out, once your bait has fallen through the water, instead of bringing it in (if you haven’t had a bite) and casting out again, I would reel in a few turns (just enough so your hookbait rises and then falls again) and feed some more maggots. You could do this several times each cast and even if you missed a bite, you didn’t need to reel in, just tighten up, feed some bait and have another go. 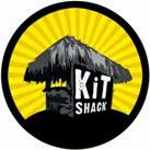 This then gives you several bites (if you’ll excuse the pun!) of the cherry, my rather low weight on the day was surprisingly enough to win and see my name etched on another of the clubs prestigious trophies. A few weeks later I added the Club Cup to my roll of honours when I drew the famous ‘Aquarium’ swim on the Isle, that will mean nothing to most people as that swim hasn’t been used in a long, long time. I can’t even remember what number it was, the swim is below the ‘Green Hut’ and one down from another excellent peg on its day, ‘The High Bank’. It was a gorgeous swim with overhanging trees, although it was a shallow peg and only came into it’s own with extra water and colour on the river, which was exactly what I was faced with on the day, the river looked perfect. I fished a little waggler and first run down I had a gudgeon and they were good sized ‘gonks’ on the river in those days. The rest of the match was plain sailing apart from a lost chub and I had a lovely days fishing to weigh 12lb 11oz. The club used to award trophies for the biggest catches of some species so there were the roach, chub and dace cups plus the gudgeon bowl! My catch consisted of 6lb 2oz of roach, 3lb 11oz of dace, 1lb 4oz of gudgeon plus a chub of 1lb 10oz which put me in the driving seat for the first three for a while but by the end of season, the only one I took home was the dace cup and I never ever managed to get my name on that gudgeon bowl! I picked up £18.50 pools money on the day and I also recorded I won £6 in side bets! One of the last matches of the year was Bridgwater’s Xmas Fayre on the KSD and it was an interesting day, I had quite a long walk and if I remember correctly, I tried to fish a waggler and maggot over groundbait but I was blanking for most of the match, I noticed the two anglers below me were fishing wagglers tight across to the reeds and catching quite a few small fish. It was quite a long chuck and I put the biggest waggler I had on, but to be honest I was still woefully undergunned, after much swishing of the rod, I finally got the float tight to the reeds, the shot settled and then the float just carried on going, I struck and reeled in a tiny rudd, I’d avoided the blank! Feeding maggots was out of the question at that range but every time I got the float tight to the reeds, I’d get a bite and I quite enjoyed myself and at the weigh in, I plonked a massive 6oz on the scales! I think the two anglers below me had a few pounds apiece and both framed. The format of the prize giving was slightly different to what I was used to as not everybody got a prize and there were the same prizes in each section, i.e. a turkey for first, chocolate for second and I finished in the top half of my section and won a bottle of wine. 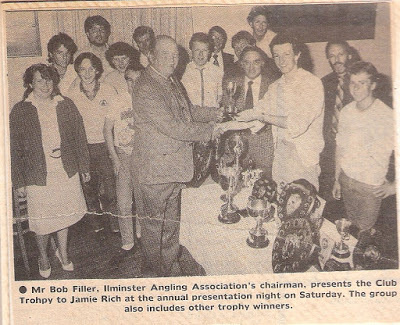 At that years presentation night, which was at Ilminster Bowling and Tennis Club, I collected three trophies and had the honour of being presented with the Club Cup by IAA’s chairman, Bob Filler snr, for the camera. Sharron Gummer had the headlines for being only the second girl ever to win a trophy in the clubs history. As more distractions presented themselves my diary entries were becoming more and more sporadic, I was still pleasure fishing the Isle with Jon Newby on a regular basis and we also fished Stathe drain with Alan Dunn and Stuart ‘Fred’ Brown where we caught decent bags of roach, skimmers and eels. I did come third in a match on the Isle with 5lb 2oz of mainly roach, if I remember correctly, and I lost enough to have won the match (nothing new there then!). There were also trips to the river Usk in Wales and also a pond in Bridgwater called Wellworthys, which held loads of little carp and was a bit of a novelty in those days, I came third with 18lb 6oz and won £10. 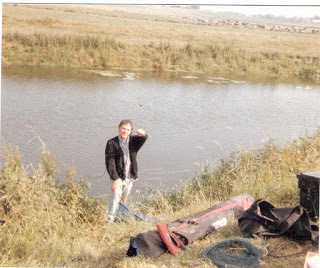 As the year got underway my fishing diaries showed I was fishing pretty much every Sunday but not catching an awful lot! On February 5th I finally passed my driving test but my dreams of travelling to lots of new venues was rather dashed when I then promptly wrote my first car off the following week! The start of the season was still something to get excited about and this year Jon, Phil Bennett and me went to Wick on the river Parrett the night before and set up camp ready to fish at midnight, we had a Chinese takeaway and a few beers which was probably the best bit as the fishing wasn’t anything spectacular. We managed some small fish and eels with the only fish of note, a decent skimmer for me and a small pike for Jon. The next morning we packed up and went to Ashford on the Isle, it was a scorching hot day and after catching nothing, we ended up cooling off by jumping in the river! There was a pond at Oxenford, near Ilminster, used to irrigate a fruit farm and Ilminster AA committee members were allowed to fish it, I only ever went there a couple of times, once to watch Adrian Green fish and then another time with Jon, we had a cracking day fishing the swims down the far end, we fished the waggler for roach and put a lead rod across by the brambles with sweetcorn on the hook, between us we had 50lb 9oz which was a big catch back then and made up of 10lb of roach, six carp for me and seven for Jon, we lost several as well. I was fishing matches every other Sunday and although wins weren’t easy to come by, I was still managing to frame regularly including a third place on the KSD with just 2lb 14oz. A few weeks later we fished a match on the Isle with the river high, rising and chocolate coloured, to be honest it was unfishable and only four people caught out of the twenty four entrants with the top weight just 1lb 9oz. Actually five people caught, the fifth person being me when I caught a small eel, the trouble was that when it came to the weigh in, my little bootlace had found a small hole and escaped to freedom! I wouldn’t have won the match but not checking my net beforehand was costly that day, another lesson learnt! There were some more memorable pleasure sessions, Jon and me caught 21lb 12oz of roach, dace and gudgeon between us one day on the Isle, both fishing the same swim and on another occasion we had 22lb 6oz from the Tank Traps. In the Xmas Fayre I drew the mill pool at Ashford (peg 82 now) and had a lovely day catching quality roach in eighteen inches of water to weigh 11lb 4oz and finish third, it should have been a lot more as like an idiot I kept trying to swing in 6-8oz roach and dropped several off during the day. For Xmas that year I got my first carbon pole, it was a nine metre Silstar I think and its first outing was at Stathe on 28th Dec with Alan Dunn and Phil Bennett, I had 2lb 2oz of small roach and skimmers, Dunner had 2lb 4oz and Phil had 1lb 4oz.